For 2018, the Lexus NX300 replaces the NX200t, but keeps the latter's engine. The NX300 benefits from minor interior and exterior revisions, while Lexus Safety System+ is now standard on all models. 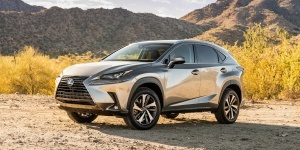 Get the best price for the Lexus NX of your choice from a dealer in your area. Request a price quote now.